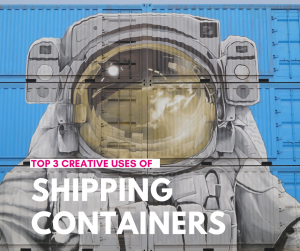 Recent years have seen a rise in people using shipping containers for many uses other than their original purpose. 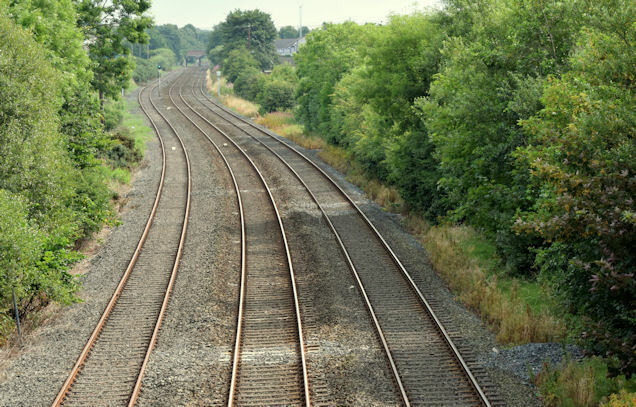 The main reason for this is that they are a standard size and well-built, meaning they are perfect for plenty of other uses than purely their original intention of transporting goods. Containerisation is actually a relatively modern idea in transportation, and even as late as 1970 most goods were still shipped around the world as loose items in cargo holds. But by the 1980s the idea had really taken off, and nowadays the vast majority of traded goods are transported via container ships. Since that time, people have grown accustomed to the convenient size and shape of these metal boxes, and the knowledge of their sturdy construction, and have been putting them to other uses. 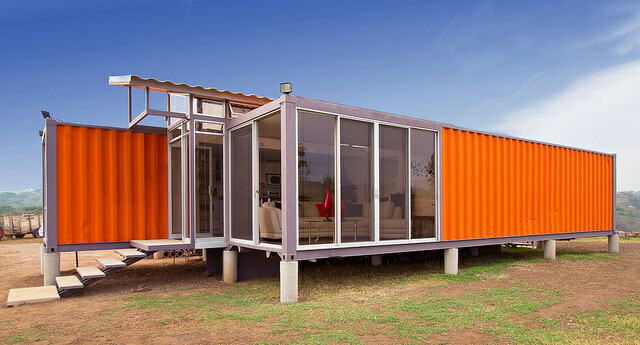 Shipping containers last a long time and are available to buy either second-hand or brand new to then make modifications. 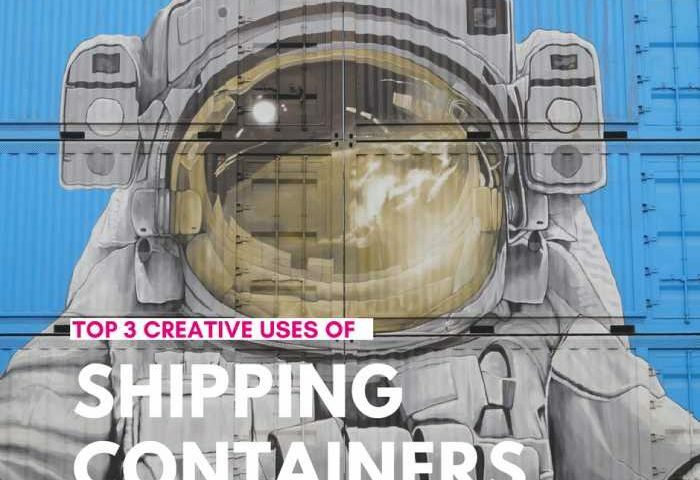 Here are our top three quirky ideas for alternative uses of containers. The larger containers make perfectly sized units for living quarters. Stacked on top of each other, these individual units collate to make apartment-style blocks. The containers are prefabricated, easy to install, and are cost-effective. This provides an ideal solution to growing cities looking to quickly alleviate a housing shortage. Using containers as housing is also considered environmentally-friendly, as old shipping containers no longer fit for ocean transport can effectively be recycled. The life of the container can successfully be extended, in fact, given a new lease of life. Living in a shipping container can be very comfortable too, with all mod cons fitted, and they have been used to make interesting modern designs as homes. At the Reef Group, we are specialists in shipping container transport in Perth, and we can deliver any containers to your site if you are interested in making a home out of them. As well as making decent living quarters, shipping containers are suitable for business purposes, such as shops, cafes, and restaurants. Pop-up shops are now all the rage and are predicted to stay on the scene and grow in popularity. A modified container makes a perfect pop-up shop because of its dimensions, and the fact that it can be easily transported. Some of these modified containers can stay on site a while, but the benefit is they are also safe and secure to leave overnight, with stock locked inside. They were designed to transport goods for several thousand kilometres, and for the valuable contents to not be tampered with, so as long as the main components of the original container are retained it makes for an excellent moveable shop. One of the most popular features of using a shipping container to sell things from is that they are easy to acquire, and also relatively cheap to purchase and fit out. Some of the most interesting uses of containers for business premises include fashion stores, pizza restaurants, and coffee shops. 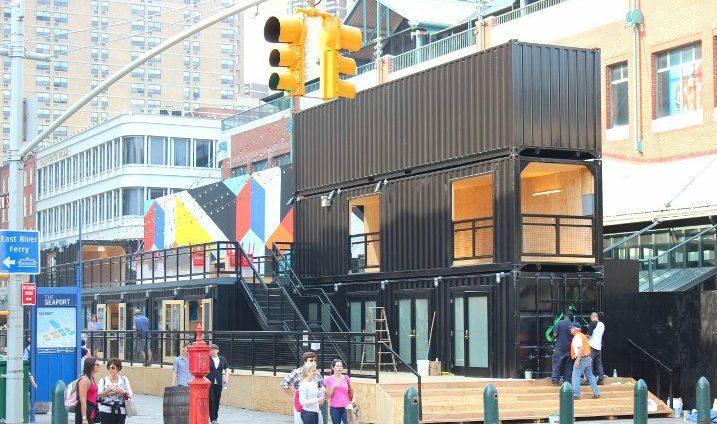 There has even been an entire shopping mall made out of shipping containers. Requiring somewhat less modification than turning them into homes or shops is using a shipping container as a backyard pool. Using a standard sized container, which is rectangular, is already the preferred shape of a pool for most people. The standard height of a container is 2.59m (8.5ft), width 2.43m (8ft), and come in two usual lengths of 6.1m (20ft) or 12.2m (40ft) – the latter being exactly double as long. With all the necessary lining the pools will end up being two sizes of 11 or 4 metres long. With little modification, you can easily turn a shipping container into a swimming pool. You won’t need to do any digging into the ground and the container can sit as an above-ground pool. They are cheaper than creating a regular swimming pool and easy to install as the container can be transported to your home for you to then modify. Container pools can easily double as a hot tub, too, which is useful for making your outdoor pool practical for all seasons. It is very easy to get hold of a shipping container meaning you can create your pool quickly. Reef Group are a transport company in Perth and we can deliver a shipping container to your backyard. 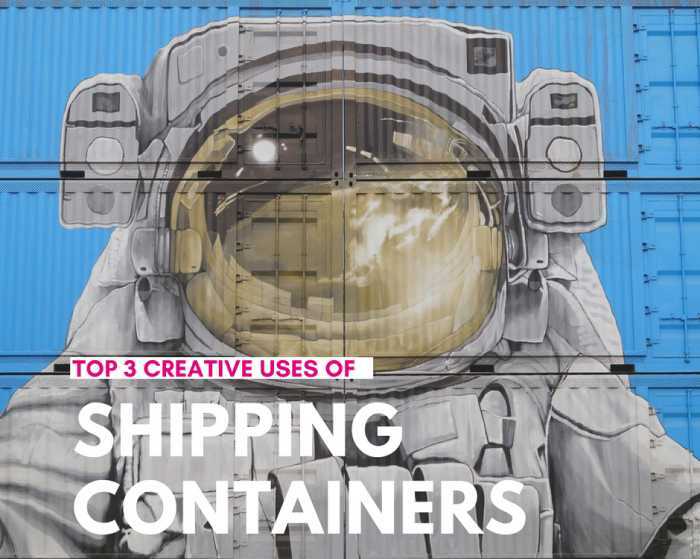 There are plenty more possible ways to reuse shipping containers, but these are just our top three favourites. As you can see, there is far more potential for using a container than its original purpose; so go ahead and think outside the box!